The start of a new year is always an opportunity to look forward with anticipation at the year ahead. For the UK, if not for most of Europe, 2019 also seems to have brought with it an air of anxiety, with Brexit on the horizon, and an ever-growing uncertainty on what exactly this will mean. This is especially true when you are an arts organisation leading up to an international dance festival bringing together over fifty artists from twelve different countries. However, with new challenges come new opportunities, and now more than ever it seems essential to celebrate international collaborations. 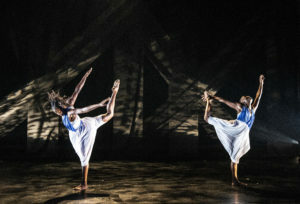 I was privileged to have the opportunity to visit Jeanguy Saintus in Leeds earlier this month, who is currently choreographing Rite of Spring for Phoenix Dance Theatre for their forthcoming production with Opera North. 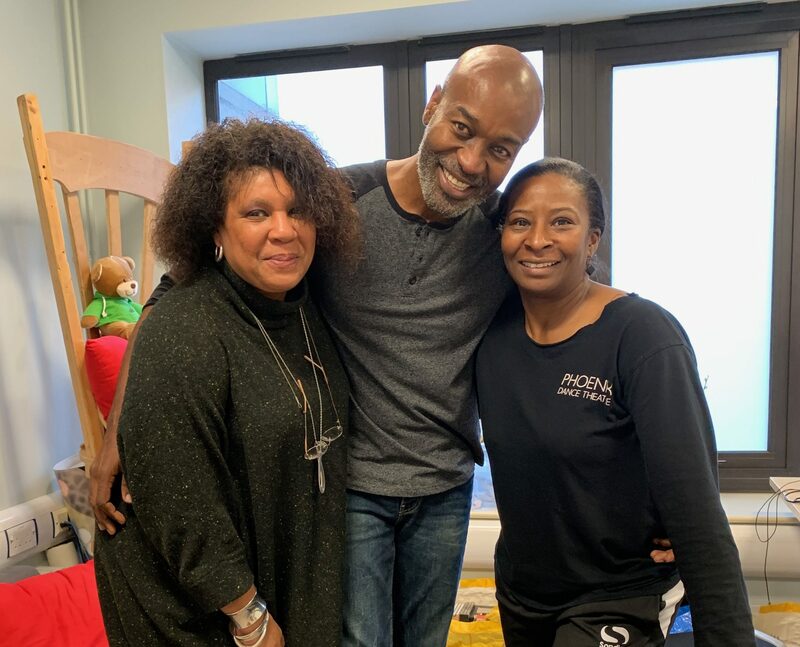 Whilst I was there I was also able to catch up with Sharon Watson, their artistic director (who we are fortunate enough to have joining us next month for an exclusive one day intensive. Jeanguy was introduced to me by L’Antoinette Stines, and came to the UK last year to speak at LDIF18’s Ancestral Voices: Dance Dialogues conference, where Sharon saw his presentation. 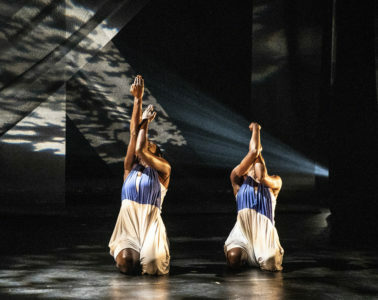 The results of this cross continental connection: two fantastic new pieces of choreography, as Jeanguy will also be choreographing a new piece of work for LDIF. Reflections, will launch LDIF19 (and celebrate International Dance Day on 29 April) at Leicester Cathedral, showcasing Jeanguy’s own journey with his company Ayikodans of creating a contemporary Haitian aesthetic, rooted in tradition. For more information click here. We are also excited to have Jeanguy return to speak at this year’s conference Black Dance: A Contemporary Voice (on 30 April) alongside trailblazing panelists including Ronald K. Brown, Thomas DeFrantz, Gladys Francis, Chester Morrison and Kwesi Johnson. Jeanguy will also lead classes in the LDIF+ course this May alongside Alesandra Seutin and Thomas Talawa Prestø who share the same spirit of providing a voice to people from African and African Caribbean diaspora in contemporary realities. Find out more here. And so, we venture into the unknown. Amidst the uncertainty, there is always value in bringing people together, always opportunities to break down barriers, to open doors to new talent, and to exchange ideas and move forward.